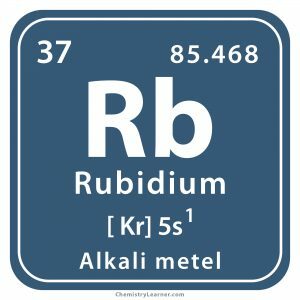 Rubidium (pronunciation roo-BID-ee-em ), represented by the chemical symbol (molecular formula) Rb [1, 12], is a soft element belonging to the family of alkali metals [1, 2]. It has 29 isotopes with known half-lives the mass numbers of which range from 74 to 102. 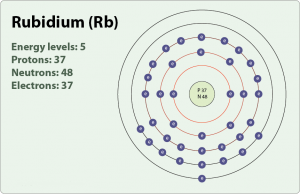 The naturally occuring element is a mixture of two isotopes, stable Rb 85 and radioactive Rb 87 [2, 3] with a half-life of 4.88X1010 years . Rb reacts violently with water and ignites in air . If it is cut it initially shows a bright and shiny surface, but if the exposed area is large enough, it burns in the air (oxygen) to produce superoxides [13, 17]. 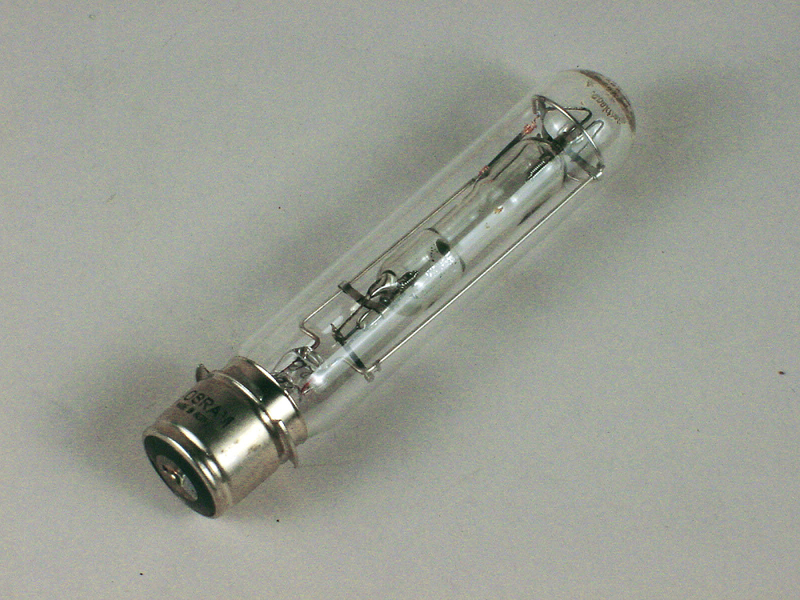 It also reacts vigorously with halogens like chlorine, bromine, iodine, fluorine to form rubidium halides . In its reactions, it forms cations with the formula Rb+ as it has one unpaired electron in its outermost shell . The metal can be found in the minerals carnallite, pollucite, lepidolite and leucite. Commercially, it is obtained from lepidolite as a by-product of lithium extraction. 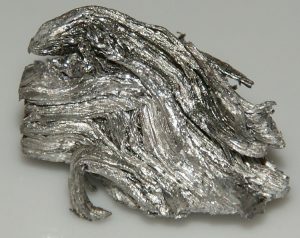 Potassium minerals and brines are other commercial sources of the element . 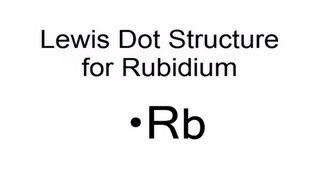 Origin of Its Name: Its name is derived from the Latin word “rubidius” meaning deepest red that is the color of its spectral lines . Who Discovered It: German chemists Gustav Kirchhoff and Robert Bunsen [1, 6]. 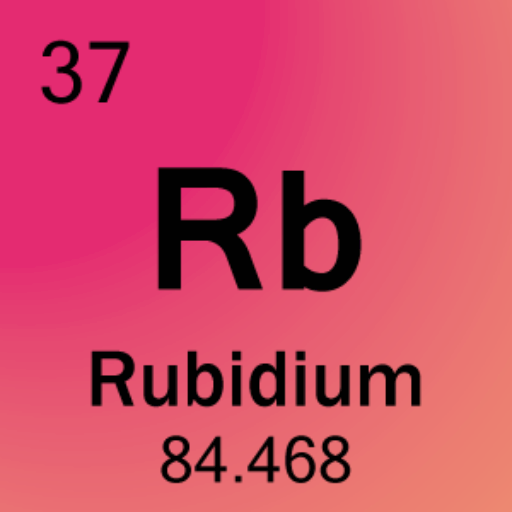 When Was Rubidium Discovered: Its discovery year is 1861 . After the discovery of lepidolite in the 1760s, it was found to behave oddly. 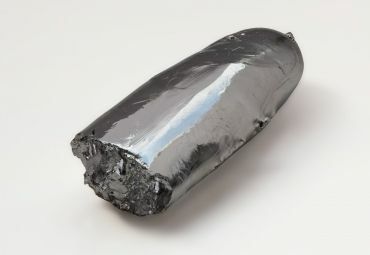 It seemed to contain something other than the known components lithium and potassium since it frothed when thrown on glowing coal and finally hardened like glass. 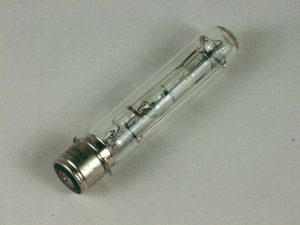 In 1861, Kirchhoff and Bunsen of the University of Heidelberg, Germany, dissolved the ore in acid and precipitated the potassium it contained along with the suspected heavier alkali metal constituent. They carefully washed the precipitate in boiling water to remove the more soluble potassium and studied the atomic spectrum of what they were left with. 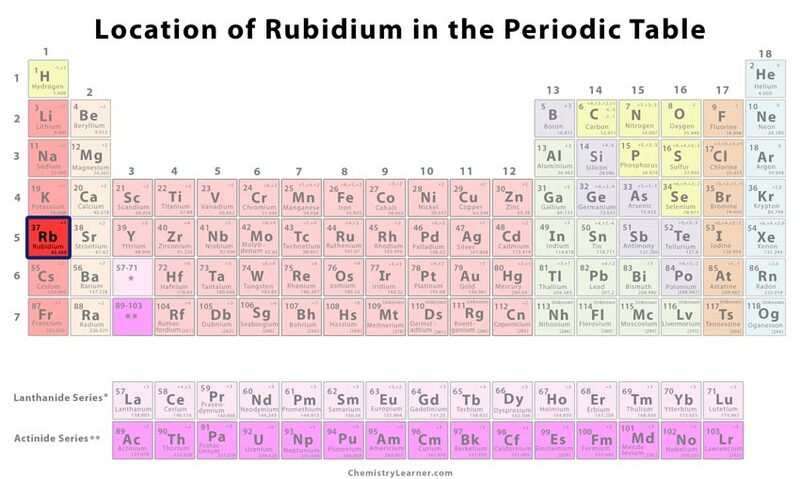 They observed two lines of intense ruby red color that had never been seen before and confirmed the discovery of a new element, that they named rubidium . Industrially, it is commonly used in photocells, vapor reference cells (with quartz), lasers, to make special types of glass and as a getter to remove trace gases from vacuum tubes [1, 3]. 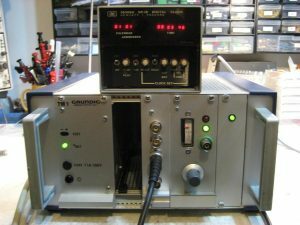 Easy ionization has led to its application in ion engines, though it was found to be less effective than cesium . Sometimes, rubidium nitrate is used in fireworks to produce a purple color . 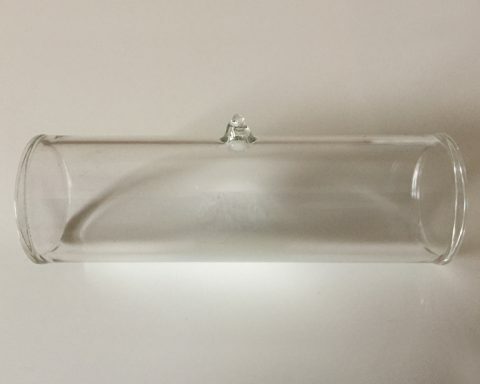 Another compound, rubidium carbonate, is used to make optical glasses . Generator produced Rb 82 (belonging to the group of medicines, radiopharmaceuticals ) is used in Positron Emission Tomographic (PET) scans or cardiac stress tests to evaluate the flow of blood to the heart muscles . 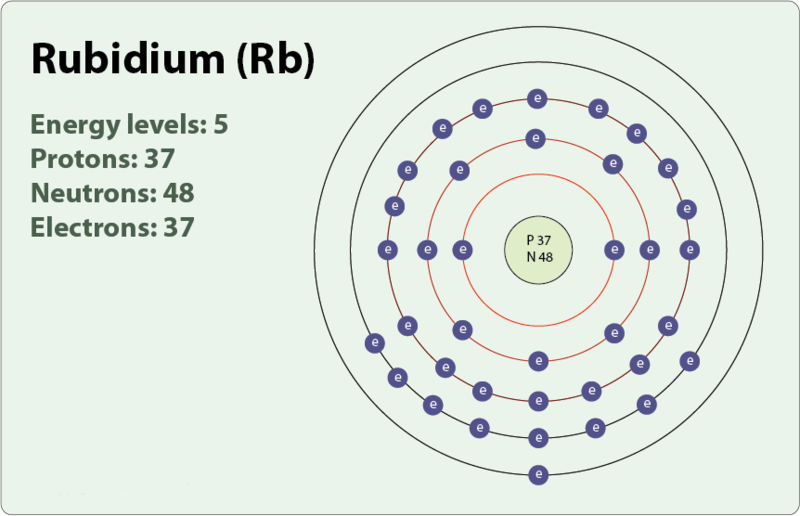 Rubidium-strontium dating is a technique used by scientists in estimating the age of rocks, meteorites and It is done by studying the amount of Rb 87 and strontium isotopes present in the materials . As a dietary supplement for certain health benefits like fighting depression, promoting cardiovascular wellness [18, 19]. 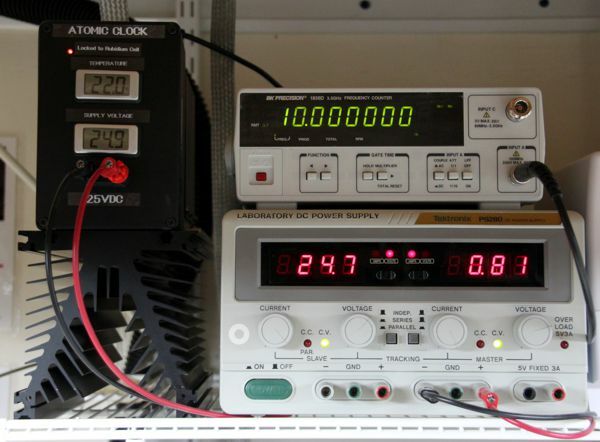 Rubidium and cesium ions act as electrolytic additives for sodium ion batteries . Rubidium is known to be non-toxic [1, 22]. The ionization energy of rubidium is lower than that of iodine and fluorine. It is because the effective nuclear charge of Rb is much lower than that of the other two elements making it easier to remove an electron from its atom . The flame test of the metal produces a beautiful red-violet colored flame . Rubidium atoms were used to create a synthetic magnetic monopole and study its behavior by the researchers at the Aalto University in Finland and Amherst College in Massachusetts in 2014 [14, 15]. It is a trace element that is needed in small amounts by our body for proper thyroid function, etc [29, 30]. Its deficiency has been found to lower life expectancy and growth rate in goats . 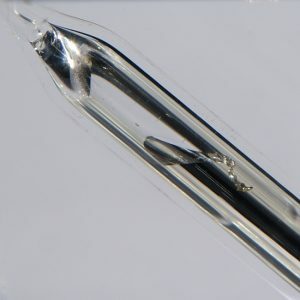 Washington State University physicists cooled rubidium atoms to a temperature very close to absolute zero to form the famed Bose-Einstein condensate, a state of matter in which, according to the quantum theory, particles start behaving as waves . The pure metal is priced at $12 per gram. That means, it costs around $340 per ounce .